Ask anyone sitting in a church pew on a Sunday morning if they believe in Jesus and the response is most always 'yes.' But ask them if they follow Jesus, REALLY follow him, and the question becomes tougher to answer. 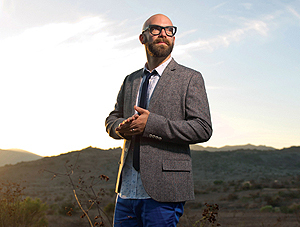 On his Reunion Records debut, Cast My Cares, singer/songwriter, blogger and worship leader Tim Timmons takes a look at what it means to not only believe in Jesus, but to change the world by truly following Him.